This was our last designing project for the semester, which meant no production (phew!). The given theme for this project was “Polarities.” We had to come up with a topic that related to the theme. 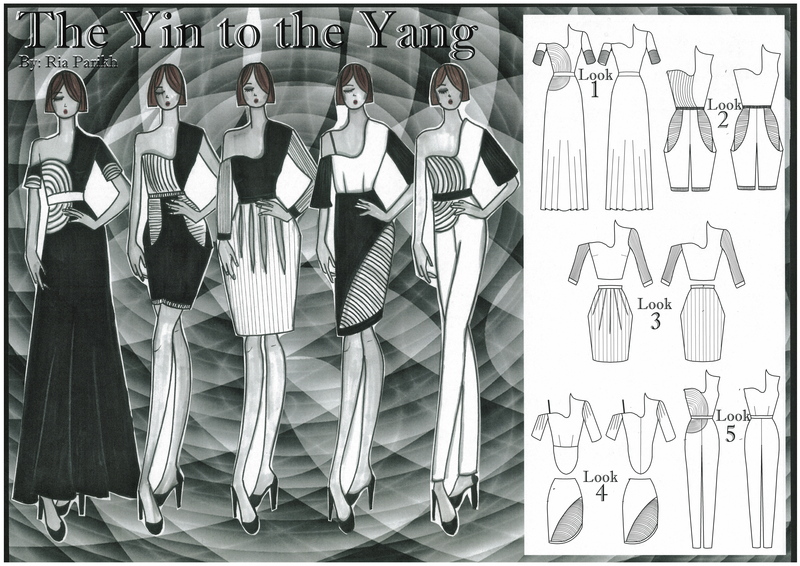 I decided to explore the theme of “Yin & Yang / Black & White.” The designs play around with an one-shoulder neckline, ruched pleats and monochromatic patterns. Next Post Winter In Tokyo (東京)!